Growing up, Mensink understood the value of personalized care for people later in life. Her passion for helping people was clear, even at a young age, when her mother suggested a career in health care. Living in a multi-generational household gave her perspective on and an understanding of the positive impact that can be made when one generation cares for another with individual needs top of mind. With her clear passion to help the elderly, Mensink attended Rochester Community and Technical College and Winona State University, where she was able to adapt some of her coursework and tailor her psychology degree to also focus on business administration and health care. The field of assisted living called to Mensink’s passion. Mensink is also training as a docent for SPARK!, the History Center of Olmsted County’s new cultural program for adults with memory loss and their care partners. The program is sponsored by Madonna Living Communities of Rochester. Mensink entered the field of assisted living in 2000 and hasn’t looked back. 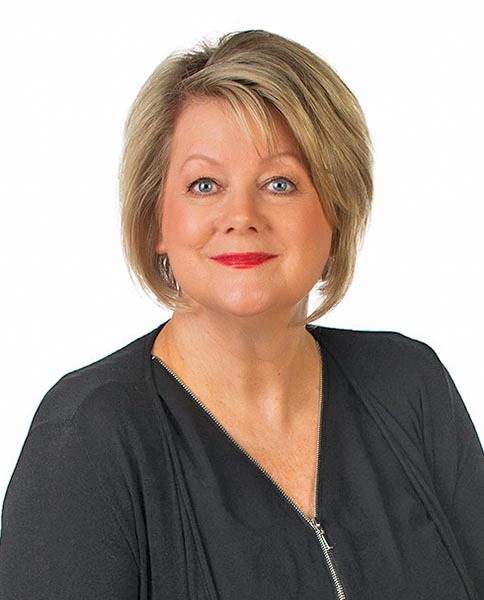 She’s spent 18 years with Madonna Living Communities, much of her work focused on marketing, including promotional materials, website development and customer relationship management. She served as marketing director on the management team that oversaw expansion of the organization, including conversion to all private rooms and building two memory care units for residents requiring special care for dementia. Mensink collaborated on planning a new campus center and the construction and opening of the Madonna Summit campus in Byron. As admissions coordinator at Madonna Meadows in Rochester, Mensink now serves as a spokesperson for the facility. She helps potential residents and their families assess the facility, making sure it is a good fit for the resident as an individual. If the fit is right, Mensink works with both the family and resident for a smooth adjustment to the facility and a new way of life. “It’s very rewarding. The gratitude of the families is immeasurable,” she adds. Mensink cites outstanding mentors as helping her overcome challenges in her career. She recognizes she has been fortunate to have learned from both men and women as supportive leaders, mentors and friends. Being passionate about her work has helped Mensink to overcome some of the frustrating moments in her career, allowing her to focus on the resident and their family. Persistence is also important to Mensink, as is innovation and being creative in approaching solutions. In an assisted living community, residents benefit from services like meal preparation, housekeeping and planned social activities. Assisted living staff encourage resident independence and are available to take on tasks that a resident can no longer do for themselves. When an elderly family member is no longer able to live independently but doesn’t need the full support of a nursing home, assisted living helps a resident retain some independence and gives loved ones peace of mind knowing the resident’s needs are being met.